Telenor is one of reliable telecommunication of Pakistan and it always brings various features for its subscribers with an excellent quality of tariffs. This telecommunication has recognized very well how much cricket craze in Pakistan and there are countless people who really love to watch cricket matches without any excuse. 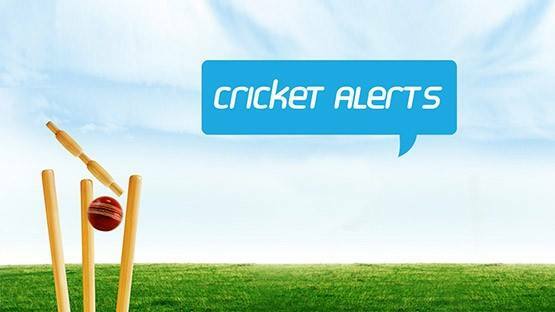 There are lots of cellular operators has wanted to get details of cricket matches on his/her cellular phone and finally this network has introduced Telenor cricket alerts service for its valued subscribers of Pakistan. This is an exceptional facility has launched from this network side for all the cricket lovers. Now you can easily get minute of minute cricket updates after subscription this feature. It also gives multiple varieties of options in this offer and subscribers who really want to activate this facility for using can activate daily, weekly and monthly cricket alerts. Customers have option for getting any offer as per own choice for using. As we all know Pakistan super league is going on and it is receving highest TV ranking in Pakistan. The largest numbers of cricket lovers want to get complete match summary on his/her cellular phone so these kinds of mobile users need to activate this feature for receiving full update of match with correctly. The details of Telenor cricket updates feature are given as below. Customers can easily get information of score updates. Subscribers also receive wicket alerts by using it. Subscribers get all the match achievements details like man of the match and many others more. Users also get complete match summary at end of the match. Subscribers can activate daily alerts service by dialing *345*646#. Consumers can activate weekly alerts feature by dialing *345*666#. Consumers can activate monthly alert service through SMS just need type message SMS “CRI” and send into 120. Please note: Monthly alert feature service will only provide details and update of single going tournament. Customers can also get Telenor Video Wicket Alert for weekly basis through SMS send blank SMS to 520. It also provides PAYG service for its customers and the subscription procedure is type SMS ‘CKT’ and send into 120. The activation charges of daily alert are RS 10 plus tax. The activation fees of weekly alert are RS 20 plus tax. The subscription fees of monthly alert are RS 50 plus tax per tournament. The charges of video wicket alerts are RS 10 plus tax per week. The PAYG service fees are RS 3.00 per SMS. Customers can de-activate daily, weekly and monthly service by dialing *345*669# and press call button. Subscribers can de-activate video wicket alert through SMS just need to type message “Unsub and send into 520”. There are no charges for de-activate any feature. This facility is available for prepaid and postpaid customers. This service is available for all Djuice and Talkshawk subscribers. Customers need GPRS setting on his/her mobile phone for getting video wicket alerts. Customers can get GPRS setting through SMS option write message “ALL and send into 131” and save received setting into GPRS option. This telecommunication keeps right to change activation charges at anytime without being informed of its consumers. You may also like this: Ufone UMobile TV.